1.) Where did the 9th Indo-ASEAN summit held? 2.) The Indian rupee dropped by 58 paise to a lifetime low of Rs ------- per US dollar in early trade on 22 Nov 2011. 3.) Who won the on the penultimate day of the 65th Senior National Aquatic Championship on Saturday. 4.) Which company launched its 3G smart phone on 23 Nov 2011? 5.) 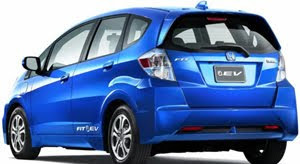 Name the new eco-friendly car which is recently released by Honda at the Los Angeles Auto Show? 6.) British Medical Association (BMA) has proposed a complete ------ ban in cars, irrespective of the fact if there are children in the vehicle. 7.) Who has been appointed as cricket coach of Australia? 8.) Which Search engine giant launched a new video service in India that will provide users access to genuine content and offer advertisers a new revenue platform. 9.) Which UK university has launched Dr A.P.J. Abdul Kalam Scholarships for Indian engineering and science students worth up to $ 400,000. 10.) How many colleges recently signed MoU for the CRESE (Centre for Robotics & Embedded Systems Excellence).